My Friday evening trip through the Plateau was largely uneventful. 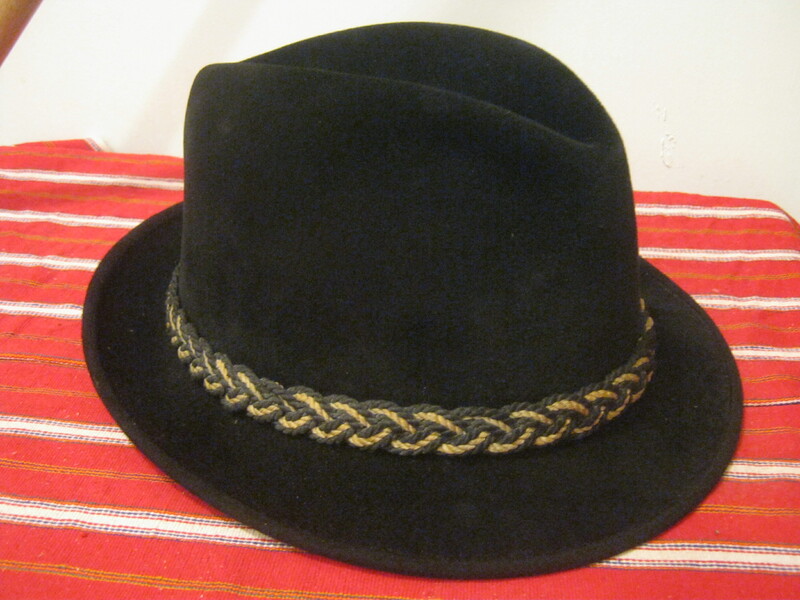 However, I did find a nice fedora. It lay under a bunch of junk in the closer of the two trash bins in the background. 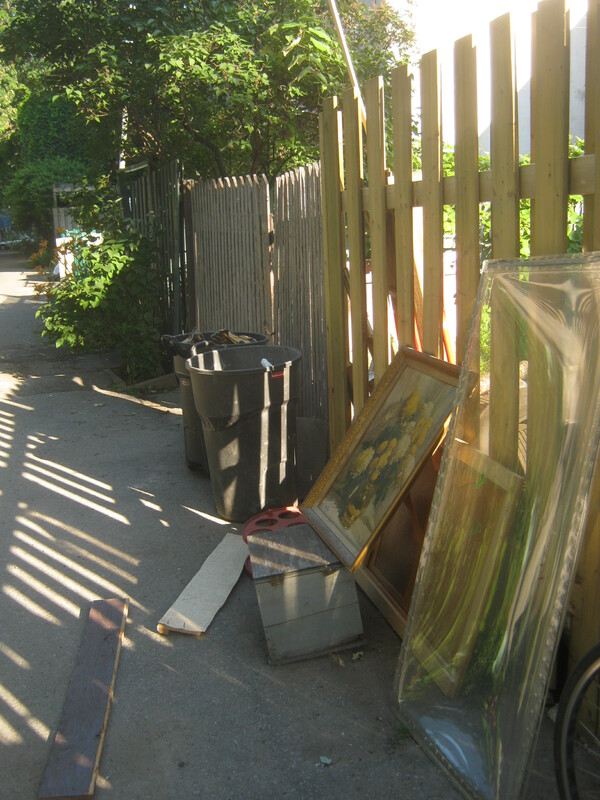 Inside the bins was a pretty random accumulation of things: a few small bags of screws, a couple of older-looking kitchen tools, and some other bric-a-brac that looked as if it had been in a garage or basement. It was hard to tell what the unifying motivation to “garbage” was. 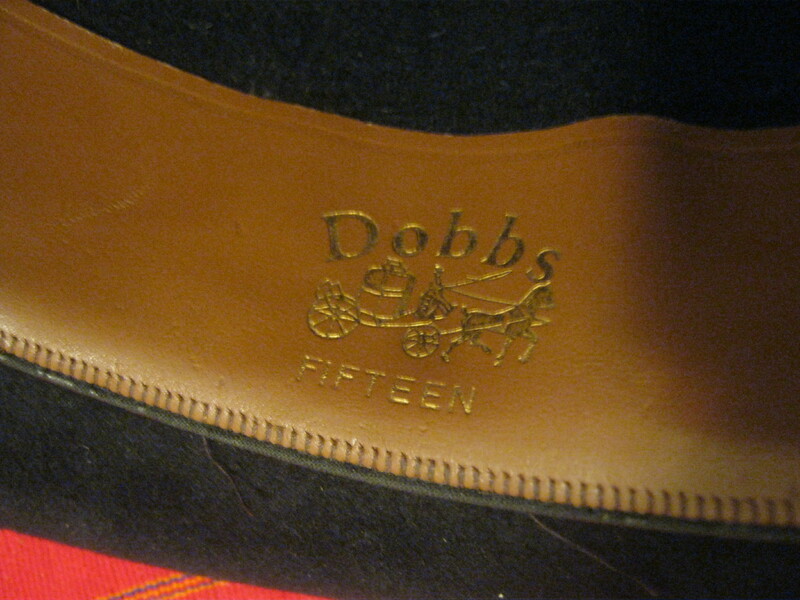 The hat is a “Dobbs Fifteen.” It was fairly dusty but it cleaned off pretty easily, revealing that it was actually in really good shape. The consensus on Ebay is that it’s from the 1950s. One sold for 110$! It’s sort of fuzzy as well, which some collectors love based on what I’ve read. It fits me pretty well though so I think I’ll keep it for myself! It’s good to have some nice hats. I think this would match well with a black suit. It might be time to hit up a Value Village to see if I can find one that fits. Once in a while I find myself obsessed with a find and I spend a lot of time just looking at it. This hat falls into the categories, as do the golf clubs I found on Thursday night. Later on I came across this electronic organ. 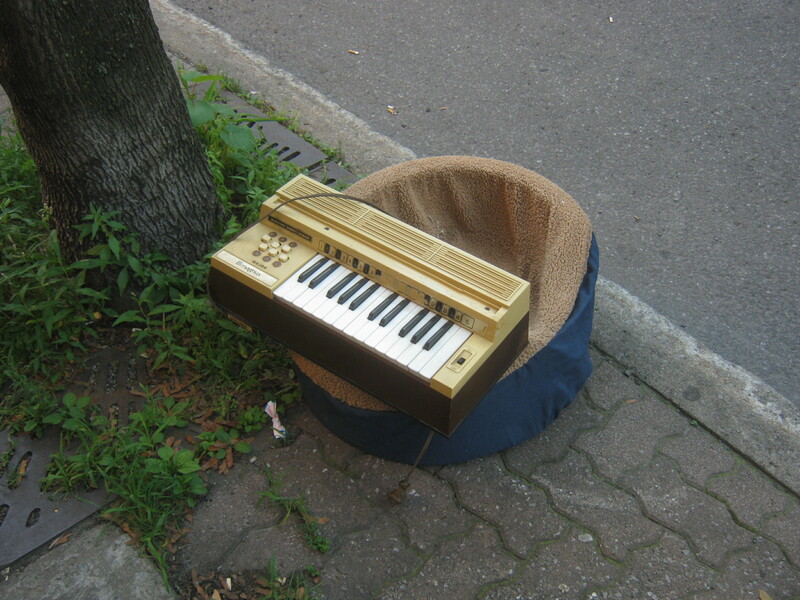 It works, if kind of strangely, but it’s perfect for my room-mate who likes making music from this kind of stuff. The sound is very atmospheric, which I suppose is what organ music usually is anyways. I had a yard sale today and made close to 60$. I’m going to do another one tomorrow as well, anyone who wants to check out my stuff should come to St Hubert and Gilford between noon and five. I’ll be somewhere (not sure exactly yet) around that intersection. I like the hat on you, and think for sure you should keep the hat and the wooden clubs. I was surprised how little they were worth, as they seem nicely crafted. If you were able to hold on to them, I bet some long day in future they would be quite the antique and worth a bunch. In the meantime, myself, I love stuff which has the fine crafted look of these clubs. I would likely keep them, as art, and I do not even golf..
One thing which I wonder about, is if you might be able to make a little more cash at your yard sales. It has been a few years since I had any (all my good junk now sold), but what I do recal, both from my own sale, and fr many I’ve gone to, is —- if you price stuff too cheaply, NO ONE will buy it. They will just consider it junk. On my first garage sale, about seventeen years ago, I had some of those metal three pronged “tomato/plant” cages…the kind with circles around etc..? At the time, they were pretty beat up, and ten years old. not nice at all. I was going to put twenty five cents on them, and then i thought, gee, if I do, maybe no one will buy them/thinking they are junk. Instead I put something like two dollers each on them (you could buy them on sale for less at the time, same now)..
well, I did get dickered down, but they all sold, and I do believe the least I got was a buck each. so, anyway, just wondering, if you might try next sale try double price on everything (or more). of course, you would need to not be at your usual sale address, as then your usual customers might get ticked..go to a new place, and give it a try. 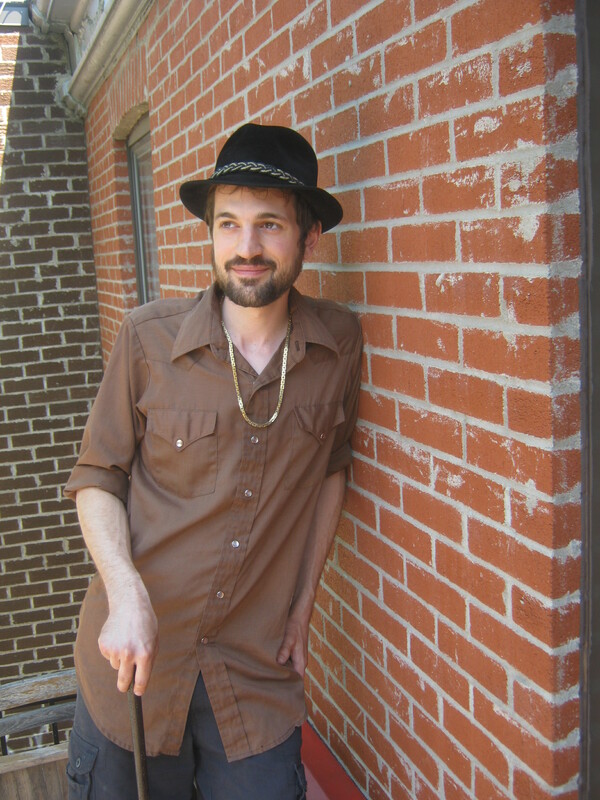 C’est un bon chapeau … and you look good in it. Tuesday morning is recycling/garbage pick-up night in St.Henri.Last night,I was walking on majestic George Etienne Cartier street in St.Henr,the street with the beautiful parc and huge water fountain.I was sitting in the park near the water.i.I saw somebody had thrown out more than 50 vinyl records in an open box with the garbage.I saw a young person from a distance going through the pile quickly and taking home more than 15 vinyl records,at a guess.You should do George Etienne Cartier street on the morning of garbage pickup day or the night before. I should have said Monday morning,and not Tuesday morning is the garbage/recycling pickup day in Southern St.Henri from Ste.Cunegonde street in the east to George Etienne Cartier street and Delinelle.Tuesday morning actually is garbage/recycling pickup day in northeastern St.Henri and a part of Little Burgundy from George Vanier street in the East to Irene street in the west.If you look at the map,I hope the distinction will be clear. Its crazy what other people though out sometimes. I managed to score a ryobi miter saw from a construction skip a while back, and all it needed was a new set of brushes, which cost me $4 on ebay for 5 sets of them. garbage skips around universities are supposed to be crazy at the end of years I hear. I need to check them out some time. I found Stephen King novels,a great book from Mavis Gallant and a novel from Stephen Leacock on Tupper street in downtown in great shape on recycling day there this week.The books were in perfect condition,and I rescued them.Tupper street is very close to the downtown Concordia university campus.I doubt the books would have been recued if it were not for me.When I passed by at 11:45 am,the recycling truck had already collected the recycling materials on the opposite side of Tupper street.Can you check downtown and Old Montreal more often?Not too far from the Plateau,I think.I guess the heat and humidity are slowing you down like everyone else.I am exasperated by the heat,but try to keep smiling.I am looking forward to you going to other areas.You still have two months and a half left before October.